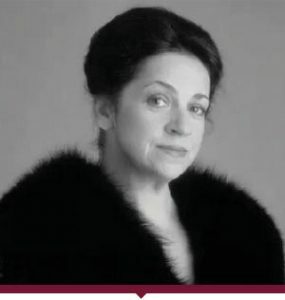 Ileana Cotrubas has a worldwide reputation as a soprano of unique beauty with a voice of highly individual quality, capable of exciting flights of coloratura. She was born in Romania in 1939 and by the age of nine was already singing with a childrens’ radio choir of which she soon became soloist. She made her operatic debut as Yniold in Pelleas et Melisande with the Bucharest Opera and after winning the 1965 s’Hertogenbosch and Munich Radio singing competitions her brilliant career has taken her to most of the worlds’ major opera houses. Her British debut was as Melisande at Glyndebourne in 1969 and she has since become a firm favourite at Covent Garden singing, Susanna, Norina, Violetta, Micaela, Gilda,Adina and Tatyana. She is remarkable for her wide ranging repertoire, singing early music such as Cavalli’s La Calisto, Mozart and Strauss in Germany, Massenet in Paris and Puccini in Italy. Groves dictionary describes her Mozart singing as a model of stylistic purity. She is much in demand, worldwide, as a teacher and returns to Britain to give masterclasses at Aldeburgh and for London Master Classes.